When the above said question is in relation to deploying your Odoo ERP system, it is better to consider the question carefully because setbacks are often complicated. We will attempt to answer the question as to which hosting option is most suitable for your Odoo ERP. 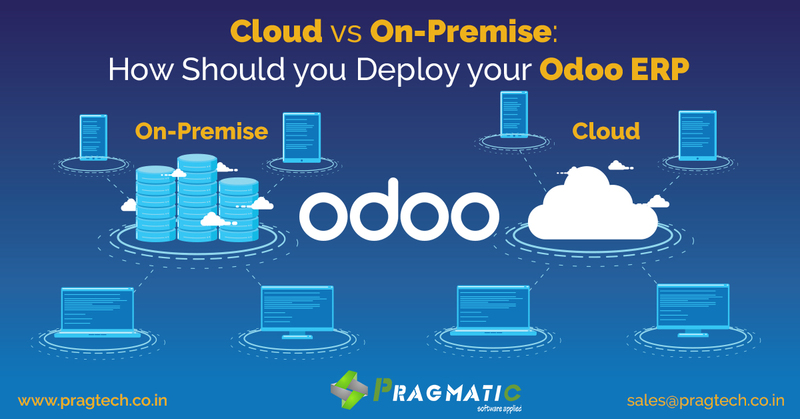 To start, you should be aware that there are two main types of hosting for Odoo management software: on-premise and cloud. On-premise hosting has a number of benefits for the IT department. This is a mode of ERP hosting that gives the IT department total control over its IT infrastructure. All updates, additional modules and bespoke development are, therefore, managed by the IT department. If, for example, you have contractual commitments to your customers that require you to store your data on your own servers, this can be valuable. However, on-premise hosting requires the IT department to take on a substantial workload. If your business is growing quickly, hosting your ERP solution on your premises will require you to make regular investments in new servers, etc. And of course, all that comes at a cost! If you have no particular reason to host Odoo in on-premise mode and you would prefer to reduce your costs as far as possible, you can opt for the Odoo cloud. Indeed, choosing a SaaS package that uses the publisher’s cloud is the most economical solution, which is its primary benefit. Odoo is usually able to offer very competitive rates for its cloud, but there are some trade offs. The most significant relates to updates to the ERP system: they will be carried out completely automatically with no ability to reverse the change. If you have a completely standard Odoo ERP implementation, it’s not a problem. Quite the contrary: enjoy the updates! On the other hand, if you have modules that are somewhat specific or if you have undertaken bespoke development to tie your ERP system in with your business needs, that can cause issues. Updates can sometimes change the way that they work. Your options for customizing Odoo will be much more restricted if you choose this hosting option.